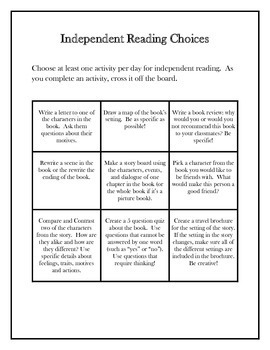 This is a choice board for students to pick activities for completion after independent reading. You can use it as a tic-tac-toe board or tell students that they must complete all 9 activities by the end of the week. The activities involve deep thinking and will keep students engaged!